Total Score: 8.42 + ULTIMATE ENTHUSIAST AWARD! Introduction: Approximately two decades ago, Daiwa introduced us to their original Tournament Whisker series of spinning reels. This reel remains a favorite among a devoted legion of fans, yet, it is by no means perfect - especially by today's standards. Daiwa has since gone through a couple of generations worth of new designs like the former Hard Bodies and the current Real4 products. But the Whisker series, once the pinnacle of Daiwa's spinning reel lineup, continues to do well. 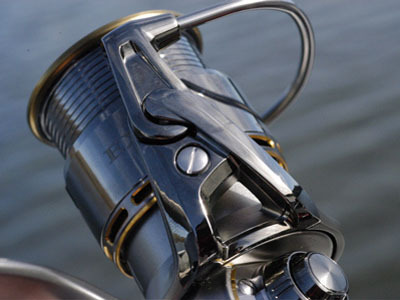 Early in 2005, we brought to you our review of the then year old Daiwa Certate. 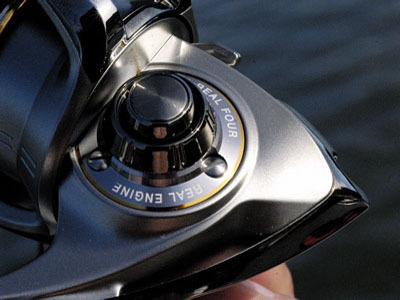 The reel that debuted Daiwa's Real4 concept and showed us that Daiwa could deliver a smooth operating rival to Shimano's SR spinning reels. But while the Certate is a fine reel in its own right, it still could not inspire the type of following the original Tournament Whisker series of reels did - at least not yet. Something inexplicable was missing. 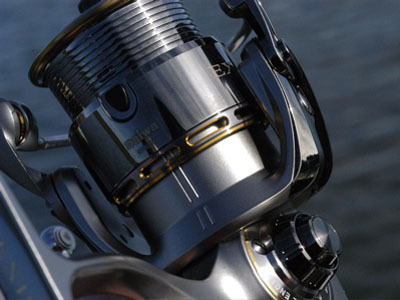 In their native market, Daiwa then introduced several reels below the Certate's price point, like the Caldia KIX. Still the reception seemed to be only luke warm. So what did they do next? They blew budget out the door and came out with a very high dollar, very low weight, new, top end spinning reel product. 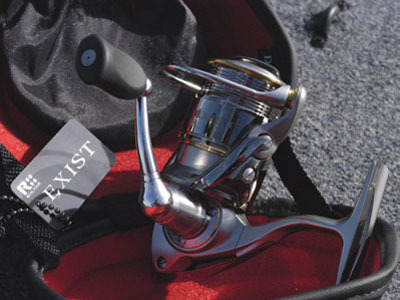 Introducing our very belated review of the Daiwa Exist. Impressions: If asked, I'll be one of the first to admit that even with all the high dollar equipment I have, spending top dollar on a spinning reel is hard to justify. Not because I don't value spinning gear, but because the discernible degree of improvement is just so marginal when going from say, a $150 spinning reel to one priced over $300. So naturally, I was rather skeptical at the prospect of spending close to $600 on the Daiwa Exist 2004. But order one I did and when the reel eventually arrived in a rather plain looking, heavy duty cardboard box, the questions of whether or not I made the right decision simply continued. Once I opened the box, I could see the Exist was housed within a hard plastic, red velvet lined case - a case that is not too useful other than providing a way to store the reel once it is off the rod. But even then, the case does not close very securely and feels as though the reel can easily fall out of it if you're not careful. Does it sound as if I was less than enthused at this point? I most certainly was. Well, all the skepticism ended the second I lifted the reel out of its case and I was struck by the thought of "WOW this thing is LIGHT!". I knew what six and a half ounces felt like in a casting reel, but I was not prepared for what this same weight felt like in a spinning reel. Even now, a year later, I still shake my head in disbelief everytime I pick up this reel. Compared to a 2000 sized Certate or Shimano Stella, the difference in heft is just staggering. The reel itself is very finely appointed with a rather understated sophistication. It is a look and theme with its frosted grey finish and reflective silver accents, very reminiscent of the discontinued TD-Z baitcasters only better. Taking a different perspective and drawing a metaphor from the fashion industry, think of the simple black dress - always in style and always captivating with its form fitting, simplistic design. 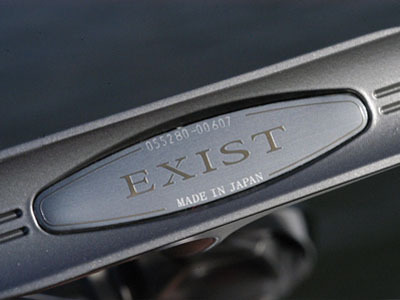 The Daiwa Exist is all that and more only simple in a cool gray instead of black.